What is the .mbox file extension and how to Open MBOX Format? Home Outlook What is .mbox file extension & how to Open MBOX Format? 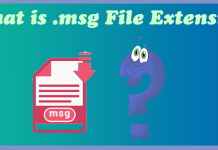 Here, we will briefly discuss what is an MBOX file or .mbox file extension is and why it is used in an email client. At the end, we will know how to open it. MBOX file was first implemented for the Unix operating system in 1975. At that time mbox has been supported by Apple Mail, Thunderbird, Eudora etc. This is related to email format that holds a collection of emails. All messages of mbox are stored in plain text format. Each message start with from header and family members of mbox formats: .mboxcl2 .mboxrd, .mboxcl, and .mboxo. which contains the same file structured like MBOX. Now you know that what is .mbox file extension. Note: Eudora uses .mbx format for storing email messages. The structure of .mbx file is similar to .mbox extension. Other information about mbox and how to open it. MBOX files stores a bulk- email of Thunderbird, Eudora, Gmail and other Email Clients. 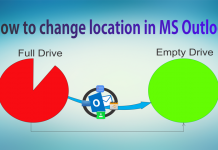 If you want to switch another Email client which does not support .mbox format then you have to use some manual method (if available in Email client) or third-party software, because importing MBOX file directly is impossible in unsupported Email clients like MS Outlook. Here, I have shown to you that what the .mbox file or .mbox extension is. Also discussed all the possible solution to open and use .mbox file. If you have a query related to this article then comment on the section below or put your query to OutlookForums. Previous articleKnow all about What is NSF Extension File and How to Open It? 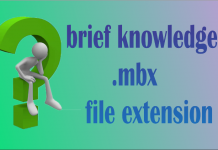 Next articleMBX file detail-What is .mbx extension & how to use mbx folder.